Back in 2005, I noticed a local parenting magazine ran a monthly feature called "Parent to Parent." I wrote up a fun column called "How I Became a Domestic Goddess," submitted it to the editor and was surprised when a friend told me she had seen it in the magazine a few months later. The publication didn't pay for that particular column at that point, but I had my first parenting clip. I was ecstatic. From there, I brainstormed other ideas from articles, taken directly from my own experiences, because that is what I felt most comfortable writing about. This inspired me to write one of my first published parenting articles, "Meal Solutions for New Parents," which has since been rewritten and reprinted for other publications. Like many aspiring parent writers, I also sent off a few article ideas via snail mail to the big parenting publications like Babytalk, Parents and Parenting. For the most part, I never got any responses back. However, I took some of those same queries and sent them out to a few local regional parenting publications, and within a few months, had made several sales. Eventually, I took a job as an associate editor at the regional parenting publication that gave me my first break, where I made a startling discovery—there was a lot more opportunity for publication in regional parenting magazines than I originally thought. 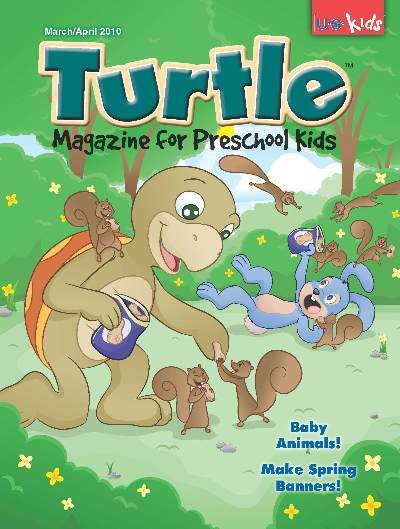 Regional parenting publications may have a much lower pay scale than the nationals, but most writers have a better shot of getting published in these magazines, and if they market themselves properly, they can generate a steady reprint income. But when I mention this fact to some of the writers I know, they have no idea of the amount of publishing opportunities out there in regional parenting pubs. It is possible to publish an article in Atlanta Parent, even if you don't live in the area. You just have to know how to find sources in that area and relevant tie-ins. Some editors don't even ask for that, and evergreen articles suit them just fine. These days, I'm writing more about social media safety for tweens than how to pacify a whining toddler, but I still haven't run out of ideas for the parenting market, and neither should you. You love books. You want to be involved with the whole process in some way. There are many, many careers possible in publishing. Within each of these, there are so many sub-genres and specialties that it is impossible to list them all. You could take each genre—chick-lit, horror, mystery, literary nonfiction, cookbooks, etc.—and repeat the list because in this industry, people tend to specialize. When you think about where you fit and where you want your career to go, remember that in America, most people change careers multiple times (Not just a job-change, but a career-change). You may be an editor at a well-respected publishing house, until the economy tanks and you find yourself on the street, in need of a new career. Many editors make the career switch to becoming a literary agent. 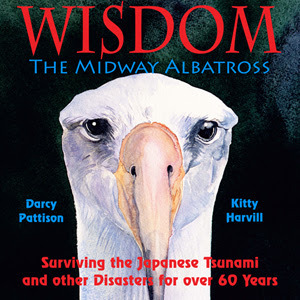 I find myself at a crossroad these days, with projects taking off in multiple directions: teaching, blogging, writing how-to books, publishing, children's picture books, and even graphic design. Yesterday, someone asked what I would charge per hour to work on a website. As opportunities shut down, others open up. In some ways, this is hard: my real love is writing fiction. But selling manuscripts to a publishing house is a struggle for each and every manuscript. I want to write fiction! But as I look around the industry, I see so many other ways my writing skills could be put to use. And I've done many of those things, from writing nonfiction, editing, blogging, publicity/PR and more. In some ways, the opportunities available make it easy: if selling fiction is hard, selling nonfiction right now seems easier. Obviously, I need to work on publishable stories and am moving more toward the nonfiction side. It's an easy leaning-in that makes sense. And dollars. Does this represent a different career? I prefer to think of it this way: I am working in the publishing industry and my current focus is nonfiction. That attitude keeps me flexible for the next time the industry twists off into a different direction. Ebooks—in all their variety, blogging, small or large publications—the key for me is that my career will always be in writing and publishing. My specialty or my current focus must change to keep up with current opportunities, but I will only look at opportunities that involve words. I am in this for the long haul. My mentor says that a writer is someone who can’t not write, and I’ve certainly found that to be true. While we must write, the question always arises, “What should I write about?” As a historical novelist, I love nothing more than to find some obscure person and expose them. My first novel was about Anna Kingsley of Kingsley Plantation in Florida. No one had really told her story and she was an amazing woman, a role model of strength and inner courage for all of us. Anna was born of royal blood in 1793 in Senegal. She was captured at the age of thirteen in a tribal raid, survived the horrific Middle Passage, and was brought as a slave to Spanish East Florida. I tell her story in Freedom Bound, which won an award from the Florida First Coast Writers Association. After releasing two more historical novels–Sisters of Valor, which won a Military Writers Society of America Award, and Beyond the Dream, based loosely on my great-grandparents, I struggled with my next book subject. 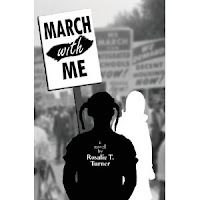 For years, the story of the hundreds of black children who left school to march with Dr. Martin Luther King, Jr. during the Civil Rights Movement had captured my attention. I knew that 2013 would be the 50th anniversary of their pivotal march, so I decided to write about it as a tribute to them. As with most things, the more I delved into their stories, the more impressed I was with what they had accomplished. In the 1960s Birmingham, Alabama was considered the most racist place in the country. African-Americans were completely segregated from the white population. The schools were segregated, the churches, the clubs, the waiting rooms and water fountains–everything. Blacks could not use the downtown public library; to get food from the few restaurants they could use, they had to go in the back door to order, then take their food outside. Overseeing and enforcing all this was the ruthless “Bull” Connor, Commissioner of Public Safety. When Dr. King entered the scene with his non-violent protest, the adults in the black community were not interested in marching with him. They had too much to lose–their jobs, their homes, maybe even their lives. But the children weren’t afraid. On the appointed day (known to them by secret code words from the local dj) thousands– literally thousands– of children left school and flocked to the 16th Street Baptist Church to march with Dr. King. Some came from as far as eighteen miles away. And, yes, they were arrested, some even as young as eight years old, and yes, on the second day they were hosed and had police dogs snarling at them. The pressure from those hoses could tear bark off trees, and yet the children came back and marched again and again. How could I not write of their courage? JC Penney Award recipient Rosalie Turner has been writing for almost 30 years. Her sixth book, March With Me, released this month marking the 50th anniversary of the Children’s March. Visit Rosalie at www.rosalieturner.com. For once, a messy desk isn't the scape goat. Too many projects. Too many kids' school events. Too much life. As many of us do, I plan and plan, but then something "better" gets in the way. Admittedly, my writing is in a rut. For April, I am making a pact with myself to sit down, take the time, and write more. I'm testing what has worked in the past when my motivation seems lacking, such as starting on a creative endeavor means I buy a new notebook. Lately, that hasn't worked because most of my writing is done on the computer. So I guess I'll have to throw out the concept as a motivational technique. This time I need more substantive motivation. I have some ideas of how to accomplish it (see below), but I'd enjoy hearing from readers—what do you do to find more time to write? How do you shake up your routine to bring your writing to the forefront of your day? Front-load my desk with books on craft or books that inspire me so that my desk screams "Write!" ... and I feel obligated to comply. You write a book, you begin to market it to agents or publishers, and then, zero. Nada. Zilch. In other words, the story you poured your heart and soul into sits in the document file of your computer or is shoved to the back of a filing cabinet. If you find this happening to a piece of your writing, take another look at what you've put on paper. More than likely, the story has a flaw that can be fixed, and in the long run, these edits will make it a stronger piece of writing. No action, no reaction. Without a catalyst for action, a story sits - and will more than likely never sell. It's a basic notion of physics, and in this case, literature: Something must happen that causes a reaction from characters. Now, the action doesn't have to be major, but a single event or non-event acts as a turning point for a story. Whoa, Nellie! Have you ever started reading (or writing) a story that has too much exposition and by the time you reach what should be the beginning, you've lost interest? I find this a lot when I edit stories for a publishing company, and it always reminds me of lines from The Best Christmas Pageant Ever. "Begin at the beginning." "The beginning?" asked my mother. "The beginning of the story." Readers don't want to get bogged down with information that does not impact the storyline. Repetition. I'll plead guilty to this common flaw. I find I overuse certain words or phrases. They are everywhere! A few weeks ago, I was reviewing several poems I have written to submit to a contest. That's when it struck me: I have a pet phrase that showed up in all five poems. It's the same principle when you write fiction or non-fiction: tell us what you want to tell us. Readers don't need to be constantly reminded of something that happened. If you have a manuscript stuck in a drawer, give it a second perusal and see if you can apply any of these fixes. Have you committed any of these story flaws? 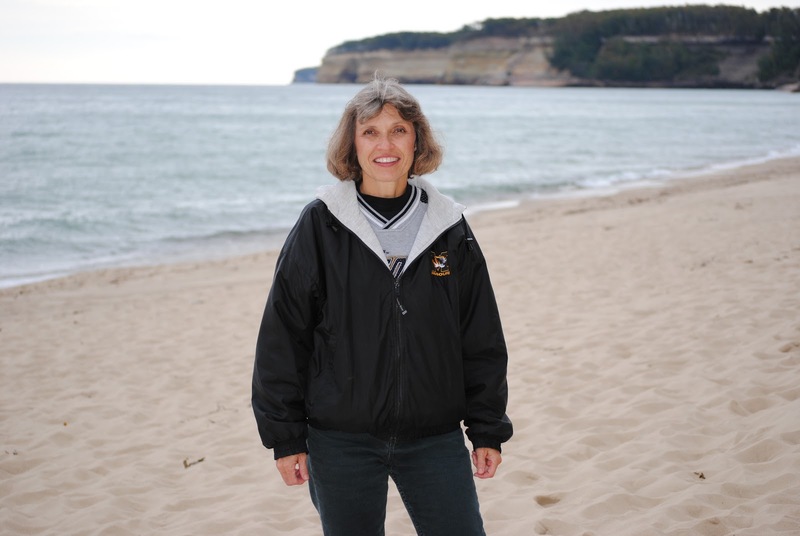 Meet Flash Fiction 1st Place Winner, Jeanne Lyet Gassman! Jeanne Lyet Gassman lives with her husband and son in the desert west of Phoenix, Arizona, but she dreams often of snow-covered mountains with pine-scented breezes. She believes in the power and beauty of language and loves helping other writers. When she isn’t writing, she works as a freelance editor and teaches creative writing workshops to writers’ groups and individuals in the Phoenix metro area. She holds an MFA in Writing from Vermont College of Fine Arts. She writes creative nonfiction, poetry, and fiction, but her first love is fiction. 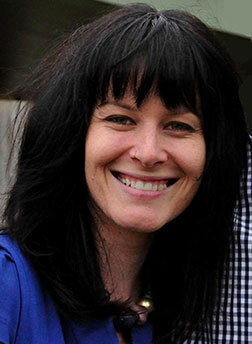 Her work has appeared recently in Switchback, Barrelhouse, and LQQK, among others. An excerpt from her unpublished novel, The Blood of A Stone, is forthcoming in Assisi: An Online Journal of Literature and Arts. 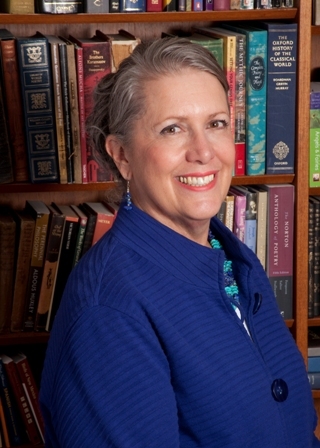 Her awards include fellowships from Ragdale and the Arizona Commission on the Arts. 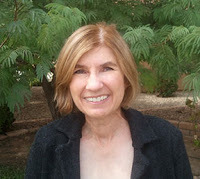 She is currently working on a novel about a family of downwinders who were adversely affected by the radioactive fallout from the atomic bomb tests in Nevada in the 1950s and 1960s. To learn about opportunities for writers, including contests, grants, and calls for submission, please visit Jeanne’s blog, Jeanne’s Writing Desk. 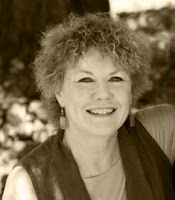 To get to know Jeanne and her work, please visit her website or connect with her on Twitter. WOW: Congratulations on winning first place in our Fall 2012 writing contest! What inspired you to enter the contest? Jeanne: I follow WOW! on Facebook and am a great fan of all that you offer for women writers. When I saw the announcement for the 2012 Fall Flash Fiction Contest, I had just finished a draft of "Haboob Season" and thought that it might be a good candidate for the competition, so I revised the story and entered the contest. I'm glad I did! WOW: Can you tell us what encouraged the idea behind your story, "Haboob Season?" It’s a chilling story, despite all the heat. Jeanne: The story has its origin in several truths: My husband did retire recently, and our children have just graduated from college. A close friend of mine also lost her husband last year. Although his death wasn't unexpected, she suddenly became a very young widow, which changed her lifestyle in dramatic ways. The summer of 2012 was one of the hottest summers in Phoenix on record with weeks of 100+ degree days and numerous large and small dust storms. The press began calling the big dust storms "haboobs." It's such a wonderful word, so much more evocative than "dust storm," and it made me think about what these massive storms could represent in one's personal life, how everything is so transient. Despite our best intentions, one swift change can sweep everything away, much in the same way a "haboob" sweeps through a metropolitan area, leaving devastation in its wake. The final stroke of inspiration came from a casual comment from a friend, who asked me how we coped with the dog days of summer in Phoenix. I put all of these elements--dust storms, sudden loss and change, the misery of summer in Phoenix--together, and "Haboob Season" was born. WOW: Fascinating video, thanks for sharing! Since you write in several different genres, including fiction, nonfiction and poetry, how do you decide what you’re going to work on at any given time? Do you find one type of writing more challenging than the others? Jeanne: Well, fiction is my first love. If I have no pressing deadlines from editors or publishers, I spend my time working on my novels or a work of short fiction. I've written some creative nonfiction, which bears many similarities to fiction, but the straight nonfiction I write is usually solicited work. For several years, I wrote a column on the craft and business of writing, "Jeanne's Writing Desk," for an e-newsletter called Mike's Writing Newsletter. The column had fixed deadlines, so I had to write my nonfiction on a schedule. If someone contacts me and asks me to write a blog post or nonfiction piece, I discuss their needs and adjust my writing projects accordingly. I'm currently finishing the edits on my first novel, The Blood of A Stone, for a publisher. Since I have a deadline to turn in the edits, that is my top priority at the moment. 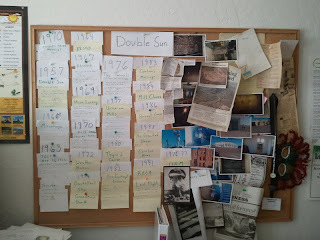 Once those edits are complete, I plan to return to the work on my second novel, The Double Sun, a more contemporary story about a family of downwinders, people who suffered adverse effects from radioactive fallout from the atomic bomb tests in Nevada. I don't have a publisher for that book, but I do have an internal deadline/goal for the first draft. In general, I work well with deadlines, and if I don't have real ones, I like to create personal deadlines. Poetry is definitely the most challenging genre for me. It requires not only precision of language but a strong sense of rhythm and motion. I adore good poetry and wish I were a better poet, but I would be the first to admit that writing poetry is not my strength. Jeanne: I start every day by filling out my day planner. I use this time to prioritize my writing goals and organize my schedule. Then I walk the dog. Good writing takes place in the mind as much as it does on paper or the computer screen, and during our walks, I think about scenes, snippets of dialogue, resolve plot issues, etc. Once we return home, I sit down at my desk and begin work on my writing project of the day. As I mentioned earlier, I tend to be very goal and project oriented. Rather than focus on a minimum daily word count or a minimum number of hours at the keyboard, I find I'm most productive when I concentrate on reaching specific milestones by specific dates. For example, if I'm working on my novel, I may set a goal on Monday to complete the next two chapters by Friday. This allows me to break my daily goals into smaller units, writing sections of those two chapters every day. If I'm planning to enter a writing contest or have a deadline for submitting a story to a literary magazine, I set a deadline for the first draft and a deadline for the revisions of that draft. Of course, if an editor has asked me to write a nonfiction piece, I usually have a fixed deadline and have to work toward that. I write five to six days a week for approximately 3-4 hours a day. This may not seem like a lot, but the steady effort makes it possible to accumulate a fair amount of material over time. My daughter said I should also mention that my home office has a residential cat who contributes his editing advice. Our cat eats on the corner of my desk, sleeps in a special chair behind me, and reminds me that petting a kitty is the best solution to writer's block. WOW: We talk a lot here on the blog about walking as a great tool for writing inspiration. I like how you focus on specific milestones by specific dates too. That seems like a great strategy! You mentioned that you’re currently working on a novel. How is that project going? Jeanne: Actually, I'm working on two novels right now. I'm editing my first novel, The Blood of A Stone, a historical story set in first century A.D. Palestine, and I'm finishing the first draft of my second novel, The Double Sun, the story about a family of downwinders. Both projects are coming along nicely. I will be turning in my final edits to the publisher for the first book at the end of March and hope to be able to announce a publication date shortly thereafter. I have 4-5 chapters left to write before I have a complete draft of the second book. My goal (that word again!) for the second book is to have the first draft completed by the end of this summer. One tool I've found particularly useful for writing novels is the story board. In fact, I have a story board for the second book, since it's still a work in process, and a revision board for the book I'm currently editing. I use a large bulletin board, but some people pin notes to a wall or even write on the wall. 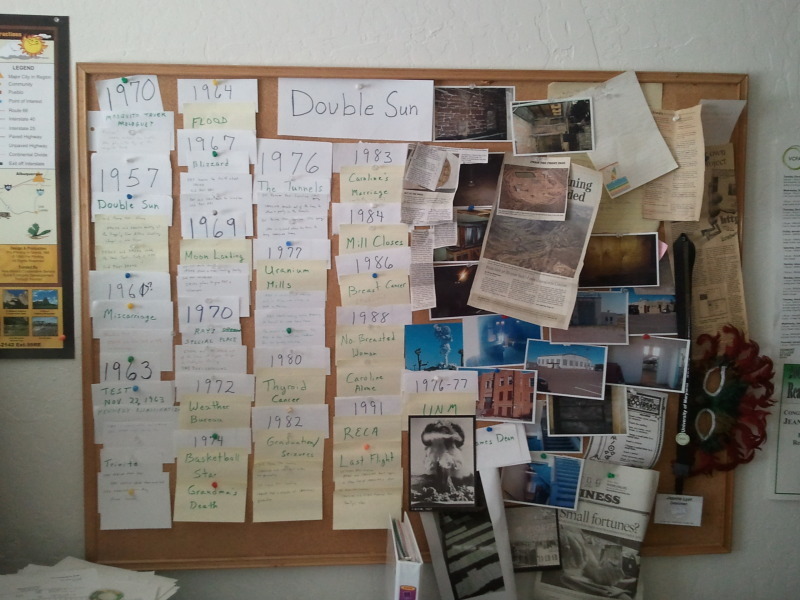 I've enclosed a picture of my story board for The Double Sun to give people a visual representation of how this works. This photo was taken earlier in the process of writing the book, so I now have more scene cards than what you see here. Since The Double Sun spans over 30 years, you will notice there are dates for each section. Beneath those dates are chapter titles. Under each chapter title I've posted an index card with a one-sentence description of each major scene in that chapter. On the right-hand side of the bulletin board I've posted photos of locations, events, and inspiring articles. This story board, or inspiration board as I like to think of it, provides me with a wonderful big-picture view of the novel-in-progress. By studying this board, I can easily see where I may need an additional scene, where there are too many similar scenes, where I need to cut the flab, etc. Interestingly enough, I've been writing the chapters in this book out of order, drafting specific chapters as they come to me rather than plodding along from the beginning to the end. The story board makes that possible. WOW: Thanks for sharing a visual of your storyboard process, and for chatting with us today, Jeanne! Before you go, do you have any advice for beginning flash fiction writers? Jeanne: I'm flattered that you'd like my advice on writing flash, as I consider myself a novice in this genre! However, the best advice I can give is to read flash fiction--lots of it. Study why the author leaves something out, how the author uses dialogue, how description moves the story forward, etc. I like to think of flash fiction as building a doll-size version of a real house on a small patch of real estate. Just like a full-size house, you have all the necessities: bathrooms, living space, bedrooms, etc., but they're smaller and limited in scope. Every single word must count. There's no room in flash for meandering or tangents. This means that the words you select carry a lot of weight; they need to develop character, set the scene, move the plot forward, or do several of these things at the same time. It also helps to have a destination in mind. If you know where you want your story to end, you can push toward that ending. My final piece of advice is to target your markets and submit your work. You'll never get your writing published if you don't send it out. Thank you so much for inviting me to share my thoughts on the writing life. It has been such a pleasure to work with WOW! You know how you can make one of those ridiculous professional mistakes, and you’re all set to kick yourself in the pants, but then you figure out something terribly important from the mistake? Yeah, that happened to me the other day. It all started a year ago, when I’d accidentally disabled the publicizing feature on my personal blog. Well. It was a humbling moment, friends. I’m a creative writer, for crying out loud. I should be coming up with extra-oomph-y titles, right? But I’d been taking the lazy route, falling back on same-old, same-old title patterns. To be honest, I suspect my faithful blog readers would probably read my posts no matter what I titled them. And yours probably will, too. But do you really want to get in the bad habit of penning ho-hum titles? That’s a writing skill you need to hone whether you write fiction, non-fiction, poetry or blog posts. And for bloggers like me, there’s another reason strong titles are important. I’m in the business of bringing new readers to my blog. Maybe you’d like to build your subscribers, too. But how can we expect to pull in new readers with ordinary titles? After all, we’re competing with a ton of information (not to mention a ton of cute cats) out there amongst the social media. We’re going to need a title that will grab a reader’s attention—and fast! Then there’s the first line of the post, the line that also comes up in the blog post feed. I was not too impressed with my first sentence hook. If I were actually fishing with that hook, I’d starve to death. In the end, I realized that if one is going to go to all the trouble to publicize one's blog posts, it’s terribly important to put one's best foot forward. A strong title can get the casual reader to stop scrolling. A first line with a hook can get that reader to a blog. And if the rest of the post offers something of value to that reader, one is very likely to land a subscriber. Which is way better than getting a kick in the pants. One of the things that I look for when rewriting any piece of fiction is character emotion. That said, my understanding of character emotion and what I look for when I rewrite has changed over time. As a new writer, I learned that I had to provide a varied emotional experience for my reader. My stories couldn’t be all plot even if that was the part that I most enjoyed writing. My character had to change and grow and part of taking the reader along on that trip was communicating emotion. One emotional note expressed over and over again would bore anyone to tears. Number 1. Vary emotion throughout the story. Check. After I mastered that, I learned to make sure that each character experienced multiple emotions. This kept me from creating cardboard characters with no emotional depth. Sure, my story as a whole had a full range of emotions but I still had a perky, upbeat side kick, a brooding hero and a very angry villain. Ho hum. Boring. Number 2. Vary emotions for each character. Got it. Then I had to learn to express this emotion in a variety of ways. I knew better than to tell everyone time and time again that my hero was worried. I had to show them. But to do this well still required variety. My character couldn’t simply chew on his lip and sigh throughout the entire story. He could but it would still be boring. I had to learn a variety of ways to express each emotion. Fortunately, I stumbled across the Emotion Thesaurus with its many lists. Now I could show worry 35 different ways. Number 3. Vary ways of expressing emotion. Done. My latest lesson? Emotional intensity. Some types of stories require pulse pounding emotions. Others are quiet, more sedate and measured. In most works of fiction you need to vary the intensity of the character emotions you serve up to your reader. If your characters experience only mild emotions, you risk boring your reader with the monotony. If your characters experience only extreme emotion, you may exhaust your reader. For a truly satisfying experience, the emotions need to cover the full range, peaking when things get really bad (or really good) but also having calmer, moderate moments. Number 4. Vary the emotional intensity. Roger. For the moment, that’s where I stand in my understanding of character emotion and reader appeal. I suspect that sooner or later a new understanding will sneak up on me and work its way into my writing. My readers will, I’m sure, be grateful. If you write for young children, as in the preschool to first grade range, you know that this is often more difficult than writing for adults. Writers who have never attempted this can't believe it when I say how hard it is. "How can that be? There are hardly any words. The stories are so simple." I challenge anyone to try it, and you will see. The reason why it looks so easy is because the authors who write for our favorite little people are just good at it. They have it down to a science and can find creative, new ways to introduce the big, wide world to three-year-olds while not boring them or talking over their heads. Trust me, it's not easy to do. Besides picture books, which are also very difficult (and I'm not even going to get into how a writer can work on a picture book manuscript for a year or more! ), what markets exist for 3 to 6 year olds? 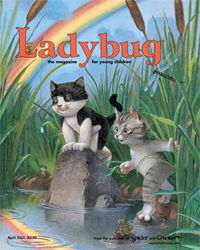 Ladybug is a popular one and Highlights for Children also has some stories geared toward this younger audience. 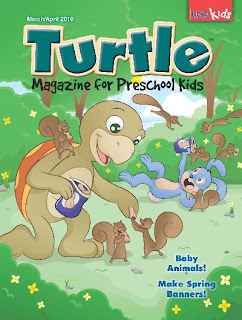 Besides these two well-known magazines, you can also get your fiction (and possibly nonfiction) for the young child published in Turtle, Humpty Dumpty, Appleseeds, Knowonder, and Guardian Angel Kids to name a few. These are all paying markets with clear guidelines on what the editors want to see and don't want to see. If you want to write for this audience, where do you start? I always recommend finding back issues at the library or online archives and reading as many stories as you can from that magazine. This is the best way to take the ideas you have and craft them into a format that works for the magazine--today. Most of us remember Highlights for Children from our pediatrician and dentist's waiting rooms, but it's different today--kids are different today, and so make sure to check out recent issues and stories. Study the stories: how long are they? What are the topics? Are they written in first person or third? How many characters? How much dialogue compared to narration? It's my experience that once you are familiar with the market, it will be easier for you to write your idea for this audience. Next, go online and READ THE GUIDELINES. Some editors and publications go to great extremes to write down what they want and what they don't. Don't ignore these. For example, Knowonder wants stories in third-person limited, so you don't send them the first person story you just wrote last night. Either change the point of view or write a new story for this market. 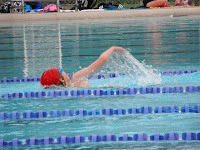 Stories for this age group are usually under 1000-words and tend to average about 500 words. You don't have a long time to establish a setting, characters, problem, and solution. This is why writing for this age group is so hard. It's like poetry and picture books--every single word counts--you don't have any space to waste on "pretty writing." Have you ever seen a preschooler enjoy a story or book? Their smile lights up their whole face. They will read it again and again and ask to have it read to them a million times. They carry it around, read it to their dog or cat, and fall asleep with the book or magazine in bed. This is why people write for this age of child. It's an important job, and don't let anyone tell you it's easy--because we know it's not. As a co-founder and editor of Vine Leaves Literary Journal, I have read my fair share of clichéd submissions. And I'm afraid to say, that most of the time, they make me wince. As a writer, it is likely hard to comprehend how overwhelming these clichéd submissions can get. You are only one person after all, with one cliché in front of you, and it's logical to think, Oh, it'll be all right, surely there won't be any other subs like this. But you would be surprised. What you need to think is: Am I really going to be noticed amongst an inbox full of 300-400 other submissions if I'm writing about the sea breeze, and quiet dark nights? However, if you are sure that you have written about these things in a unique way, we're totally open to reading about them. But trust me, we will be extra critical. For an example of one unique way to write about gardens, take a look at The History of Dirt, by Allie Marini Batts, from Issue #03, page 37. This WOWED me. So how can we twist the above clichéd topics into interesting reading? For starters, use objects as metaphors for emotions or personality traits; plants in a non-garden context to attract attention and intrigue; give pretty things ugly qualities, and vice versa; compare love to a simple gesture that isn't saccharine; instead of talking about the quiet night, find a quiet detail to draw attention to, an elderly man kicking a newspaper in an abandoned street perhaps, and his echoing grunt. Think opposite, think unpredictable. 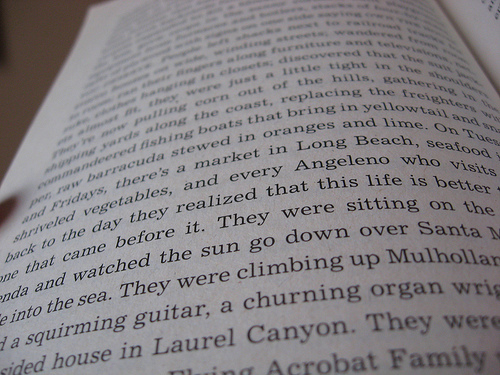 Tweak a common feeling with a unique bent, experiment with poetic prose. Sure, clichés exist because they come from real life, and you may argue that they are 'relatable.' But the way in which one experiences things isn't always the same. As writers, it's your duty to make your readers see through a unique pair of eyes. Tell me, which of the following excerpts is the most clichéd? And which is more interesting to read? As I step foot onto the sand, I realize I'm ready to wipe the slate clean, to start again in a new town where I no longer feel the weight of regret on my shoulders, or the desire to runaway; a place where I can accept who I am. As I step foot onto the sand, I realize I’m ready to wipe this regret from my skin; to immerse myself in a new ocean, where my desire for fleeing this emotional cage hides like a mermaid ambivalent about growing legs. What other clichés can you think of that you persistently see in writing? Or better still, what have you read that uses a cliché in a unique way? Need more help with your writing? Why don't you try Jessica's pocket guide, Show & Tell in a Nutshell: Demonstrated Transitions from Telling to Showing? She is the Co-Publishing Editor of Vine Leaves Literary Journal and annually runs the Homeric Writers’ Retreat & Workshop on the Greek island of Ithaca. She makes a living as a writer/editor for English Language Teaching Publishers worldwide, such as Pearson Education, HarperCollins, MacMillan Education, Education First and Cengage Learning. Visit Jessica's blog, The Alliterative Allomorph, and connect with her on Facebook and Twitter. There are only two more weeks of National Women’s History Month. What have you done this year to celebrate women this month? Party? Parade? Pep rally? Nothing, not one little event to celebrate women’s contribution to the world? Well, don’t feel bad. You still have time to commemorate National Women’s History Month with a little help from an old friend of WOW, Nava Atlas. WOW: The last time everyone at the Muffin heard from you, Nava, it was for your blog tour. For those who missed it the first time around could you tell us a little about your book? NAVA: The wordy title reveals a lot about the book: The Literary Ladies Guide to the Writing Life: Inspiration Advice and from Celebrated Women Authors who Paved the Way draws on the journals, letters, and other first-person writings by classic authors of the past. These personal narratives illuminate these writers' paths, from finding their voices and the discipline to write, to dealing with children, lack of money and insecurities; and finally, to enjoying some measure of success. In short, our literary foremothers, including Jane Austen, Charlotte Brontë, Louisa May Alcott, Edith Wharton, Virginia Woolf, and others all faced the very same challenges as any of us who write and aspire to an audience face in our journeys. In my annotations, I discuss these parallels; I include other quotes and passages by other female authors, past and present (the twelve main Literary Ladies are deceased). And I wrap the whole thing up in a highly visual presentation, as, among the other hats I wear, I'm also a visual artist with a penchant for design. WOW: And now to celebrate the anniversary of your book as well Women's History Month you're launching a complementary website. Tell us what we'll find at your new website and what made you decide to launch it. NAVA: The first Literary Ladies site was mainly about the book. It's still there in its original form, at http://book.literaryladiesguide.com. 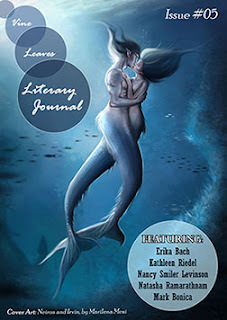 The new site is now at http://www.literaryladiesguide.com and is much expanded from the original site. There's a mini-biography of many significant female authors from the past, with the roster going far beyond who I covered in the book. Each mini-bio contains links to more information, including the authors' homes or archives, plus great quotes. There's also a filmography page—it was fun to collect and list some of the numerous films made from the books by classic women authors, plus, some films about the authors themselves. "Miss Potter" (about Beatrix Potter) and The Hours (part of which is about Virginia Woolf) are among my favorites! Also central to the site are featured essays, some of which are by me and some by contributors. These reference at least one classic author and/or her work and are geared both to readers and writers, providing inspiration and insight. In fact, I'm looking for submissions in this category. See http://www.literaryladiesguide.com/category/essays/ for examples of essays already on the site. I made the site because in all my research I didn't find a comprehensive site about female authors of the past that was easy to navigate, organized, and thorough. So I hope that this site is off to a running start, and I hope to add more in the months and years to come. I need to add more of the great poets, for example. WOW: I remember you were nervous when I initially met you because The Literary Ladies Guide to the Writing Life was quite a genre jump for you. Although you were well-known for your cookbooks this type of nonfiction was definitely something new for you. Was it as difficult as you anticipated developing a new audience for a new type of writing? NAVA: Yes, it really has been a challenge. Building a site on the subject, starting a Facebook, Twitter, and Pinterest pages, connecting with the writing and literature community—are all things I should have been doing while writing the book, if not much sooner, not two years after its publication! It's simply a reality of the publishing world these days—once your book hits the shelves, your audience should already know about it and be anticipating it. Scrambling to find a market from scratch once pub date hits, or just hoping someone happens upon your book in a bookstore, are old-school strategies. WOW: So are you still genre jumping? Cookbook author? Nonfiction author? Both? I've been trying to write and design a visual dual biography, and I have another idea for a nonfiction book on women's issues, but the lessons I've learned from my experience with Literary Ladies is fresh on my mind. As tricky as it has been, it hasn't discouraged me from genre-jumping. I really enjoy producing the vegan cookbooks and they do make me a nice living. But I just don't want to be confined to one subject area! I'm working on a new food-related project for Harper One (the SF division of HarperCollins). They came to me with a fully formed idea that I thought was a good one, so I said yes. That's actually the first time that has happened, so it's kind of a nice change of pace from having to sell an idea to a publisher. WOW: Do you have any advice for writers who are considering genre jumping? NAVA: Don't do it!! Just kidding. Seriously, if it's in your heart, you've got to express yourself however you wish. If you do want a book's to succeed, at least modestly, you need to pre-build your audience. Some of the authors in the book jumped literary forms all the time, and some jumped genres. Edna Ferber wrote novels, screenplays, Broadway shows, and memoirs. 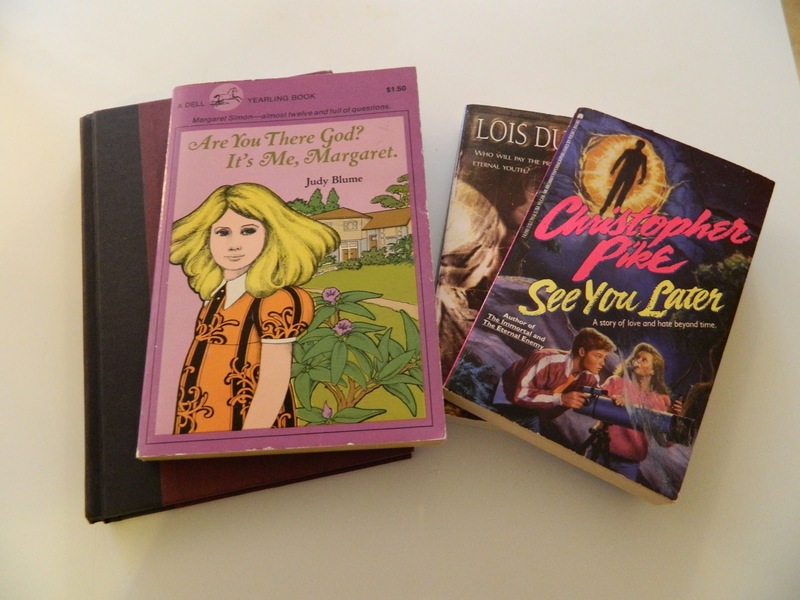 Madeleine L'Engle wrote novels for adults and children, as well as memoirs about her spiritual life and her writing life. Louisa May Alcott was the biggest genre-jumper of all—she wrote gothics and thrillers under assumed names, memoir (Hospital Sketches), her well-known "girls' fiction" that she thought so little of at first, and much more. So us genre-jumpera, just can't help ourselves, nor should we, even if we do so at our own peril! WOW: What do you hope readers will take a away from a visit to your new website? NAVA: I'm actually not a big part of the picture in the new website. It's really about the authors, their legacies, as well as what they teach us about the writing life that I wish to showcase. It's wonderful and amazing how relevant their words and ideas have remained. Some of them are still very much in the forefront—the world never seems to get enough of Jane Austen, for instance—while others have become more obscure, for example, Charlotte Perkins Gilman. She was saying things 100 years ago that Sheryl Sandberg of Facebook is saying in her new book, Lean In. WOW: Is there anything the readers of the Muffin can do to help ensure the success of your new website? WOW: Well, you heard her writers! Do you have a favorite literary lady? Has she inspired you? Taught you? Helped you set goals? I’ve enjoyed sleeping for as long as I can remember. My mom may tell a different story about childhood naps and early bedtimes, but as far as I am concerned, sleep is a very necessary and enjoyable activity. I sleep, therefore I dream, and in recent years I’ve incorporated my dreams into my journal. Journaling my dreams has provided me with fabulous material for short stories and blog posts and has also given me ideas on how to enhance my writing to make it more vivid and exciting for the reader. I’ve suggested dream journaling to those who have diagnosed themselves with ‘writers block.’ I personally have found that dream journaling is a great way to stop those recurring dreams or those that end too soon. 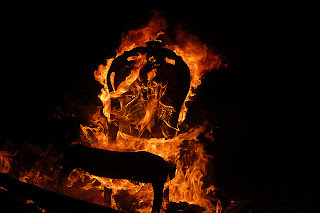 Recurring dreams and those that end in the middle seem to have one thing in common—something needs attention or closure. I’ve found that by writing down what I remember about the dream and then adding the unfinished details I can find the closure my sleeping self was looking for. This may not come naturally at first, but the more you journal the easier it gets. My most recent example was a dream where I was visiting the doctor and he was about to give me some important news, and my alarm starting blaring and I woke up. I had that unsettled feeling, and I grabbed my journal later in the day and wrote a happy ending in which the doctor explained that I was expecting a child. I went on to write about a textbook pregnancy, quick delivery, and gorgeous baby girl with blue eyes and blonde hair. Those unsettled feelings were quickly replaced with joy, pride, and excitement! I'm not sure if you've been following the controversy over Random House's new digital-only lines: Hydra, Alibi, Loveswept, and Flirt. Writers have been up in arms because no advance was being offered on these books, like with Random House print authors, and also because copies and other miscellaneous expenses were going to be taken out of the author's royalties. When I first heard about it, I was reading a discussion on the SCBWI (Society of Children's Book Writers and Illustrators) listserve I belong to, and the argument was mostly with Hydra and whether or not a book published with this imprint would qualify a writer to belong to the SFWA (Science Fiction Writers of America). It turns out the way the Hydra contract was originally written an author was not eligible for SFWA membership. The good news is that Random House has buckled under the pressure from the writers (YAY! ), and they have revised the contract. They didn't give in 100 percent, but they now offer two different models of payment, and one of these offers an advance. Authors and others in the publishing world who were up in arms seem to be happy with Random House's changes and have said so on blogs and Twitter. To read fully everything that has been going on, you should visit Writer Beware. What I was hoping to discuss with Muffin readers today is this whole notion of having to get an advance in order to be considered "professional" enough to belong to a writing association. And in some of the blogs I read about this issue, they said that authors weren't taking themselves seriously if they didn't demand an advance. John Scalzi, an author with a popular blog, even said that we should question publishers that can't offer advances and wonder if we will ever get paid our royalties. So, I'm sitting at my computer in St. Louis, thinking, Well, golly gee, I have three books under contract and am not going to get advances on any of them. I was super excited to get royalties and someone wanting to publish them. I think it helps me with my writing goals of doing school visits, teacher workshops, and teaching online classes. Plus, I like small and regional publishers, and I think they often don't offer advances to an author the first time they work with her or him. And I take myself and my work seriously. What do you all think about this? If you have a book, did you get an advance? Was it hard to meet your advance? Did you feel pressure? If you aren't published yet, will take a contract without an advance? Would love to hear from you on this issue! Margo Dill is the author of Finding My Place: One Girl's Strength at Vicksburg (White Mane Kids, 2012) and writes a blog at http://margodill.com/blog/. She teaches online classes for WOW! See her classes here. Wait. What? I read the first line again, just to make sure. I mean, 2007? But yes, six years ago, I sent a story out into the world and it landed on this editor’s desk. She’d liked it then, but the anthology that it was planned for hadn't materialized. Now, she was contacting me to include this same story in another anthology. Was I interested? I was indeed interested. I’m always happy to have an opportunity at publication. But more than publication, I thought about the words we send out into the world and how important it is to always send out your best. Of course, we know (or we should know by now) that when it comes to our words, they have a very long shelf life, thanks to modern technology. Whether it’s a comment on a blog post or a submission gathering electronic dust in a virtual file, it’s important to think about what we’re writing and how we write it. Take a query, for example. It’s just a query, you say. Agents don’t even read those, you think. And that may be true. A polite, professional query may be quickly read and deleted, while a rushed, badly penned query blasted across the agent universe may get you noticed—as the example of what not to do—on an agent’s blog. And then there are the articles, the stories, and the manuscripts, the words you've toiled over for days, months, and oftentimes, years. Resist the temptation to send out something that’s not quite ready. You know the kind of temptation I’m talking about. The midnight deadline for a themed anthology or contest where you’re working right up to the last minute. Or the deadline on a conference submission opportunity where you’re down to the last possible day. Your words are so close and you think, “It’s good enough.” And you want to click on SEND because you've worked so very hard. But sometimes, the hard part is sitting on writing that’s not good enough—yet. It will be good enough, some day. Keep working, and make your words the best you can write before you send them out into the world. And success, even if it’s six years later, is sure to follow! P.S. The anthology where you might see my story included is one of Publishing Syndicate’s Not Your Mother’s Books. They have a ton of titles still open for submissions, and they’re keen on getting as many writers as possible published. Send your best words and see what happens! I'm not talking about tossing the latest page into the trash can in your office or on your desktop. I'm talking about trashing our own efforts to make it as a writer. Stop it! Stop with the self-defeatist attitude. If you believe you're going to fail, more than likely you'll achieve that goal. If you believe you can and will succeed, then your self-fulfilling prophecy may come to fruition. Nobody said freelancing was going to be easy. (Well, nobody said it to me.) But, how many times have you caught yourself in one of the following situations? And more importantly, what can you do to stop finding yourself in this type of predicament? Prioritize. If you don't make writing a daily priority, how will you succeed as a writer? I know, some days I feel like I don't write anything. I'm too busy reading press releases or developing story ideas and leads, but let's be honest: not every day can fall into that pattern. If you're going to write, write. Even 15 minutes worth of writing can keep you focused and turn into a worthy project. Plan. If you're serious about freelancing, you have to treat it like a business and know how this business operates. Not only do you need to understand the intricacies of the publishing world, you also need to understand the basics of running a business operation. Consider tax preparation, contemplate important purchases, and confer with fellow writers. Procrastinate. Whoa! No, I'm not encouraging you to put off until tomorrow. It's a bad habit (and unfortunately, I mastered in it while working on a master's). You have to look at the root of the problem. Not submitting queries? Why? Not able to schedule writing time? Why? Stop waiting for success to knock on the door. YOU have to make it happen. Promise. If you accept an assignment or promise to submit three pages to your critique group or set dedicated office hours, then keep the promise! It's so important to follow through, whether with an editor, an agent, a trusted writing pal, and yes, yourself. Why do we writers trash our efforts? We're human, yes, but until we learn that the journey requires hard work and dedication, we will continue to sabotage our efforts. 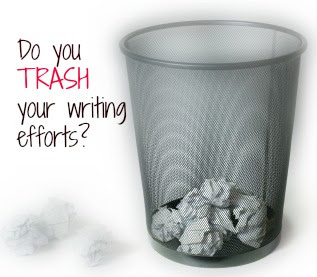 Do you trash your writing efforts? How do you overcome this problem? Recently, my daughter who teaches high school math asked for my help in writing a grant for an iPad for her class. Of course, I told her to start with a story. And she had a good one. She uses clickers, things that look like a TV remote control, to answer questions. Each student is assigned a certain clicker number and when they click on an answer, the computer program registers each student's answers. And they love it. In fact, students love the clicker so much, they ask for more math problems. "Miss, do you have any more problems we can do?" "Miss, I need a couple more problems, so I can score better than Jay." 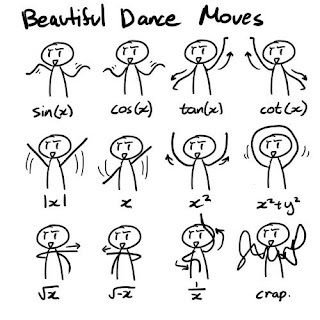 Gee, what math teacher wouldn't want THAT problem. And that story worked magic: her iPad was crowd-sourced and she's setting it up now to work with her clickers. Are you a writer, a storyteller, or an author? Are they the same thing, do the nuances between these words mean little to you? For me, they are different. A writer is someone who writes. It can be good or bad, fiction or nonfiction, for private use or for commercial use, for blogs or for magazines. The reason for putting words on a page can vary widely. The key point is that words are being put down. A storyteller is someone who touches a reader emotionally with a powerful tale. For our purposes, it is a storyteller who writes, rather than tells stories orally or with images. An author is someone whose written words are published. Writers and storytellers don't necessarily become authors. Writers don't necessarily share their work with anyone else while they are alive. A storyteller is one type of writer. What type of writer do you want to be? Are you a generic writer, or do you want to be a storyteller? Within the category of storytelling, do you want to specialize in mysteries or historical fiction? And do any of these distinctions make any difference? For me, they matter very little. Which probably makes me a writer. I am happy to write nonfiction--such as this blog post--or fiction or any other type of writing. But my favorite type of writing is storytelling. Skills cross the range of writing, but it's the passion that makes a difference. When I am working to tell a story, I work harder and I am more passionate about everything. I care more about putting events into a narrative arc that builds to some emotional climax. I like writing fiction. Stories are my passion. And they work whether it's on the page or in a math class. It helps to figure out where your passions lie because then you can focus on what is most important to you. What kind of writer are you? Are you a storyteller? An Author? a scientist writer? a historian writer, A mystery writer? Where do your passions lie? 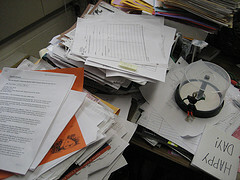 Clutter can also appear in our writing. 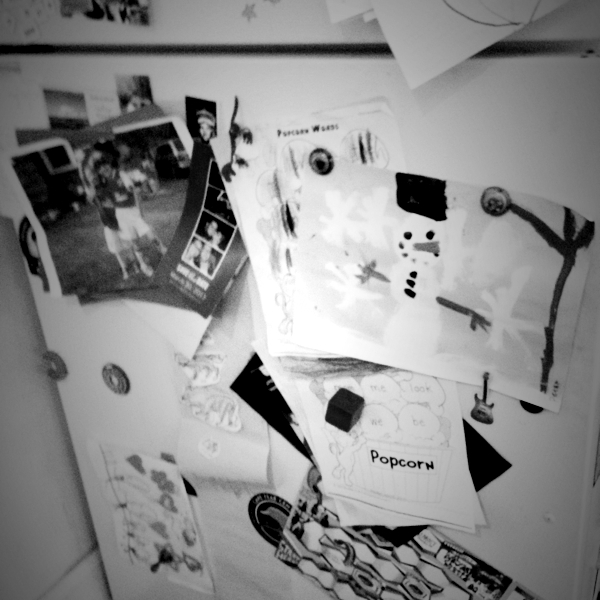 This week, while editing a couple pieces of writing, I ran across clutter in sentences that made me think of my kids' refrigerator art. The work is all on display and we keep adding to it--proud of all the work and believing that it all needs to be displayed. She walked quickly to a closet full of clothes and pulled a T-shirt from a shelf and a skirt from a wire hanger and dressed slowly then sat in the middle of the couch, laughing. If I'm in the middle of a story, I want to see action. Isn't this action? There is movement--she's getting dressed, right? Isn't that enough? Well, I don't know about you, but I don't want to wade through all that action to get to the important action of the character's laughter. Why do we need to work through a long sentence of walking, pulling, dressing, sitting, and laughing? Often writers sense that the reader needs to "see" all the actions. Just like a parent needs to see all the art on the refrigerator. But when you try to show everything, you cover or avoid other elements that might be important. Trim excess in your sentences: If you are in love with some of the work, tuck it away for later. Determine what actions are essential to the plot: Is the action moving the story forward or is it treading water and not moving? Read your work aloud: When you hear your story out loud, it helps you catch clutter in your sentences. You hear what is working and what's not. I'm spending the weekend clearing out some clutter. How about you? Elizabeth King Humphrey is a writer and editor living in North Carolina. She plans some spring cleaning this weekend, at her keyboard and not in her closet or, ahem, her refrigerator door. With my recent down time, I’ve been doing some thinking since I am not doing too much else. I’m thinking writing is a lot like cooking. Now for those of you who know me well, this may seem like a strange comparison considering that I dislike cooking and am rather fond of writing. Allow me to explain. My husband and I have a blended family of six. Our mixture of his and hers children creates a unique schedule for many meal times. Some nights it’s just the two of us and other nights, we are feeding six. Over the years, meal time caused a certain level of angst for me. Trying to make sure I created meals that were healthy, that pleased everyone, and that were within budget were a challenge. I have never enjoyed cooking but trying to tackle this task made it more daunting. I fretted over meal planning, shopping, preparation, all of it. As time as passed, I have started to worry less about covering all these bases. I began to focus on creating meals that were a little more fun and different and thought less about trying to please the masses. And this is why I think cooking is like writing. So often, we are encouraged to write in a genre or style that we are not passionate about or simply have no interest in. As writers, we are sometimes pushed to try a new category because it is what’s “new” and “popular” but when it comes down to it, we may not care a bit about it. I love writing children’s stories and short stories. I am also working on my memoir about my battle with heart disease. My focus is narrow and I am okay with that. I could try to write paranormal or horror but I promise, it would not worth anyone’s time. I think it is better to stick with what makes you happy. In my case, I write because I enjoy it rather than it being my job. Since I have that luxury, I can be picky. And as for the cooking, I fortunately married a fantastic chef! Karen Guccione-Englert fell in love with words at an early age and now shares her love of reading with students at Orchard Farm Elementary. 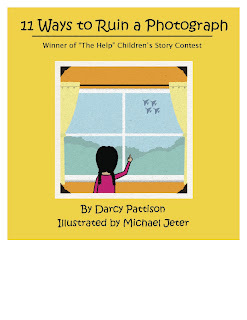 Outside of the classroom, she primarily writes children’s stories and short stories. 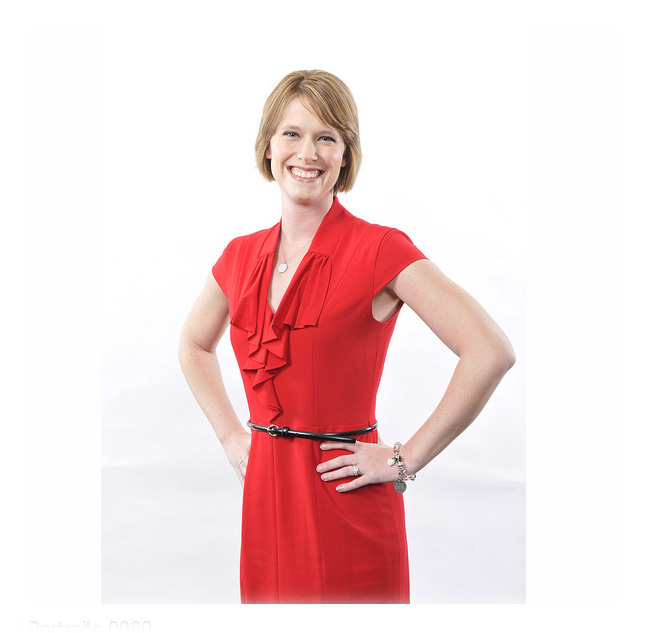 Karen enjoys entering a variety of writing competitions to practice and refine her craft. In addition, she is an active member of Go Red for Women with the St. Louis chapter of the American Heart Association. 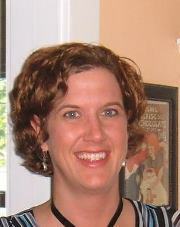 Karen resides in St. Peters, Missouri with her husband, four children, and loveable pug.